Procrastination solutions: Start investing like an adult! Like many young professionals, your investment strategy might be starting to feel like that old, faded pair of jeans that doesn’t really fit you anymore. You continue to wear it because it’s still the first thing you see in your closet, and frankly it would just be too much work to go out and find a pair that fits you beautifully. But if your investment portfolio consists solely of that savings account you opened when you were 15, the reality is that you’re doing yourself a great disservice. 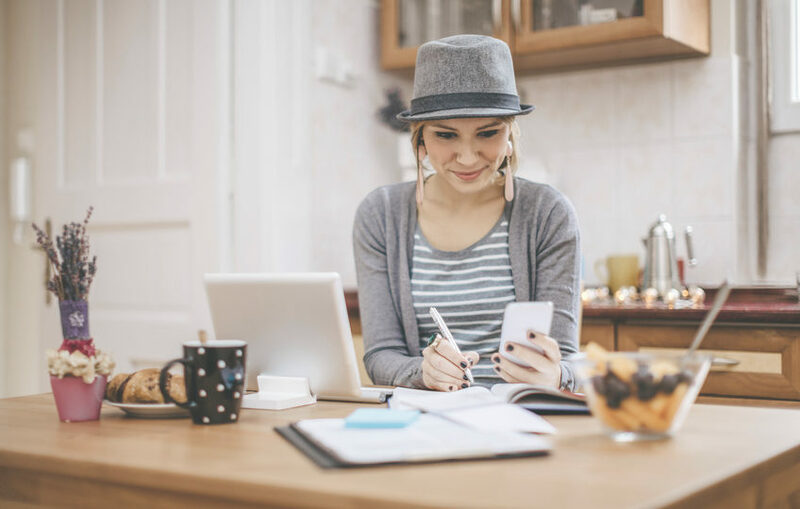 Luckily, you can turn things around rather quickly if you stop to think about why you are procrastinating and then develop a plan to help you move toward a sound, financial future. Part 1 – Mental blockers: Why are you putting it off? Coming up with a solid plan takes time and energy, neither of which we have much of in our busy day-to-day lives. Solid time management, which means carving out even thirty minutes for your finances every week, is a great way to overcome this hurdle. After all, it’s all about baby steps. A cohesive strategy incorporates investments that aren’t as certain as the 1.5 per cent you might earn on interest in your savings account. For instance, equities are notorious for being volatile, and many people can’t stomach that volatility. Thankfully, a little research will show that there is something for everyone – even those with a low risk tolerance. Why fix something that’s totally fine? The answer is by educating and enlightening yourself to realize that your current plan isn’t actually fine! There is such an array of investment options out there, that it’s a sin not to enjoy the benefits of diversification. From apps to discount brokerages to robo advisors, the choices are seemingly endless. You may think that by burying your head in the proverbial sand, you won’t have to deal with these options. The truth is, however, technology has actually made investing more accessible than ever for the everyday investor. As we mentioned earlier, your savings account likely generates about 1.5 per cent in interest. This income might sound great to you if it’s all you’ve ever known, but what if you could at least quadruple that? In order to think positively about investing, you must think long term. Data shows that the S&P 500 returned 7 per cent on average between 1950 and 2009. The fact is you have to invest in order to keep up with the cost of inflation. The inflation rate typically hovers between 1 to 3 per cent2 – in other words, curiously close to the interest on a typical savings account. That is to say that in real terms, you’re earning no money because inflation is cancelling out your interest. If you’re stashing cash under your pillow, you’re actually losing money. No one loves the thought of losing money in a 2008-style crash. The good news is that keeping a diversified portfolio of cash, fixed income and equities can help limit your losses, and keeping a long-term view will prove that what goes down must eventually come back up. Don’t believe it? Just read this example of financial literacy expert Kelley Long telling us about how she handled her retirement savings in 2008! Take the time to do a little bit of research on your own to learn about the options that are available to you. Articles such as 5 money questions you’re too embarrassed to ask and Investing 101 for young people are a great place to start. Then once you’re ready, set up a meeting with a well-regarded financial advisor and start the discussion. Once you’ve decided where you’d like to invest your money, make it automatic. Remember to set up automatic transfers that align with your paychecks so you don’t even feel the pinch. You’ll be amazed at how fast your money will grow using this tactic! Once you’ve decided on your savings vehicles, it’s time to fuel them. Select a handful of investments based on your tolerance for risk. Those that can stomach it might want a portion of their portfolio in growth stocks, while a conservative investor will likely stick to established, dividend-paying companies. Mutual funds and exchange-traded funds (ETFs) are a good way to gain exposure to a number of industries and geographic locations. Take this opportunity to stop procrastinating and rethink your goals. It’s time to put your finances front and centre. Lay the foundation of your investment plan now, put it on autopilot, and watch your money grow for years to come! Statistics from simplestockinvesting.com 2016. Assuming monthly compounding on savings account and annual compounding on investments. 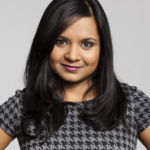 Pira Kumarasamy, is a Toronto-based freelance writer and communications consultant in the financial space. She has a background in economics and enjoys making complex financial topics relatable to the average Canadian. Her areas of interest include financial markets, student loans and real estate. You can reach her on Twitter (@PiraKumarasamy) or LinkedIn.